I love that you caught this picture in mid-lick! Great photo! Now if you could just teach him how to run the vacuum! You snapped that picture at just the right time! Love it. Yes, but will they go near it when it is on? I would be very impressed! 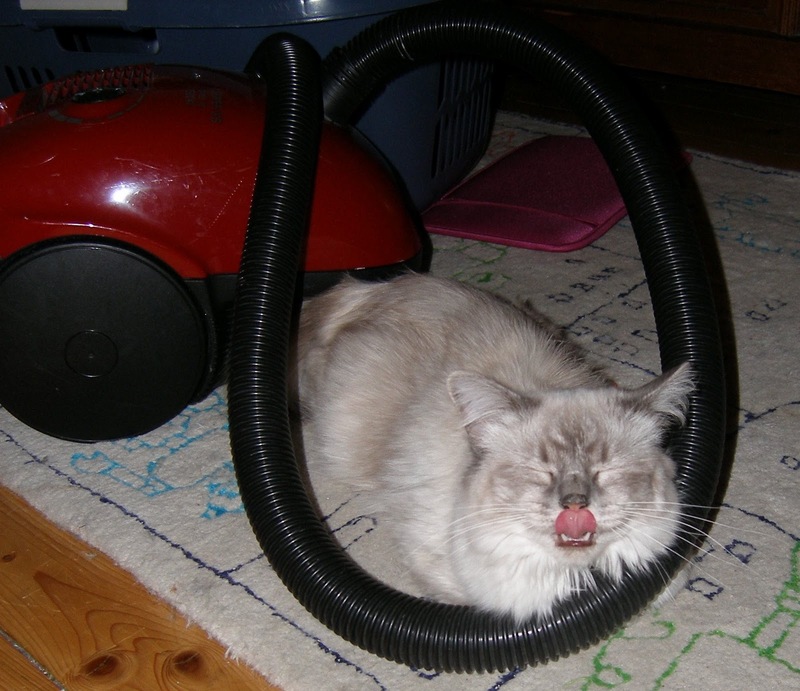 Hahaha wow, that's quite a facial statement about the vacum cleaner! HA! That cat has some serious personality.